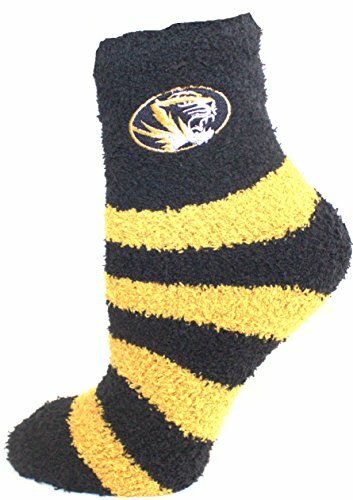 These fuzzy socks are so comfortable and they keep your feet warm. Donegal bay offers these officially licensed NCAA socks in different fashionable styles and colors. One Size fits most. These fluffy, soft fuzzy socks keep your feet and toes warm and cozy. They do not have those annoying grippers at the bottom of your socks, that hurt your feet. You can wear your fuzzy socks with or without shoes. These are ideal to wear instead of slippers or you can wear them as sleep slippers. Embroidered official logos they are so soft, plush, and stretchy providing the ultimate comfort and warmth for your feet. Makes a great gift or self purchase.